Here's your opportunity to take advantage of the best fat burning program in Montreal with absolutely no obligation! Also includes weekly 1-on-1 or small group training sessions to get you maximum results! "Training with Phyl is challenging but fun! I look forward to training and love the feeling when the hour is up! The improvement in both my strength and fitness has been amazing. If you want results I highly recommend Phyl and the FBBP!" "I really enjoyed the FBBP program that Phyllis had made for me. She uses a range of varied and interesting training techniques which I think has taken my fitness strength (especially core strength) to the next level." Learn how to help reverse the aging process. 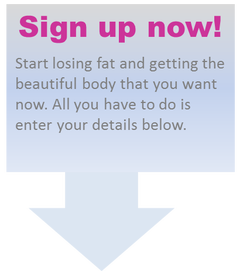 Blast belly fat, tone and strengthen your whole body, get back into those skinny jeans and live a fit healthy lifestyle. My workshops will provide you with great information that will create long lasting change in your life! For the next 14 days we are going to sculpt and beautify your booty. Join Laurie Betito and I as we squat, squeeze and lunge our way to a tighter, and juicier booty! My passion is to see my clients achieve their fitness goals. If it is to lose weight, tone your muscles or build your strength - my 36 years of experience will help you meet your fitness goals quickly. Learn more about personal coaching services. I LOVE what I do! For the past 36 years I have been lucky enough to help hundreds of people get and stay in shape. And I can help you achieve the same results! My job is to not only give you the resources you need to get in shape but also get you to stay in shape! You can train in your home, in your gym, and at my outdoor classes. For Montreal personal training, indoor or outdoor classes, or small grou﻿﻿p personal trai﻿﻿ning, contact me at 514-941-4438 and receive your free fitness consultation!